What is CRM ? Customer Relationship Management Refreshed ! CRM literally expands to Customer Relationship Management. But for a typical professional who wants to implement CRM, it has more meanings than simple expansion. CRM is constantly changing its definition. A few years back and for few industries, CRM means Customer Support Automation. And sometimes CRM is taken as “Sales Force Automation”. So we can define CRM as a software tool / application / system that help businesses in capturing data and information associated with prospective customers and customers along with company’s product information. Depending on who interacts with the prospective customers and customers, the data capture and activities associated with changes. So CRM for a sales team is all about capturing the data and information collected by sales team members and sales team member activities. They store all the prospect details and the calls and meetings made with prospects and customers. CRM also acts as the single source of collecting all customer information in one central location. If at all a company is generating leads from multiple sources, CRM captures that lead information and facilitates access to the corresponding sales team. And sales team can manage their sales opportunities so that they can plan on what to concentrate on the immediate term, medium term and long term. So CRM for Sales Force Automation is all about Leads, Contacts, Accounts / Companies, Opportunities, Calls, Meetings, Tasks and Quotes. CRM for Marketing Automation has all together a different meaning. It is all about tracking their marketing activities. Typically marketing teams talk about Targets, Target Lists, Campaigns, Different types of Campaigns like Digital Marketing Campaigns, Exhibition participations, Leads, Return on Investments on Campaigns etc. With CRM Marketing team members can maintain the data and information about their Targets and Target Lists. They can plan their New Letters with Email Templates and Email Campaigns. They can plan their physical and digital marketing campaigns in the CRM and see how they effective they are and plan the ROI. They can generate leads and easily pass those leads to the sales team for closure or run telephonic calls to qualify them and hand over. Overall CRM for Marketing team has a different meaning when compared to CRM for Sales Teams. Even though literally CRM means “Customer” Relationship Management, today it includes your relationship with a customer before he even became your customer. Or the CRM Software solution starts capturing data and information along with the activities before even a customer becomes a customer or it is literally used for relationship management of leads / prospects and even targets. But traditionally ( I can say long long time back) CRM means Customer Support Automation. So let us look at what it means by CRM for Customer Support Automation. In this case CRM captures or gets all the customer data along with the products / services they have taken. And if customer has any issues the customer support team captures each of this issue as a “Case” or “Ticket” or “Trouble Ticket” and allocates to the corresponding team members or customer support executive who has to solve it for the customer. All the interaction from the executive to the customer and from the executive to the internal team is captured in the CRM as activities. The emails, tasks, calls, meetings and documents that are shared during this communication is captured at one single location called CRM. As the number of customers for each company have increased, a new phenomena has arrived whereby customers are given a web portal where they can access the product related information as well as raise their own tickets / cases. As and when the company updates information about the Issue, customer directly goes and checks after he gets an alert. An important extension to this is, thinking that our partners / distributors does most of the selling / support on behalf of the company. In these kind of scenarios CRM is extended with access to partners with limited information sharing / exchange through the system. And a customer self service portal becomes a partner portal with access to the customer who have come though the partner. Today’s world with new digital communication platforms like Facebook, LinkedIn, Twitter the CRM has transformed into Social CRM. A Social CRM offers features like chat facility among your team members and can also pull lot of social media information directly into the CRM Application. The same platform should help a collaboration engine for all these three different division/departments to interact with each other and share information. Even though the definition is simple, in today’s market, companies are unable to get the expected Return On Investment (ROI) without bringing the execution engine into the game like Order Management, Service / Product Delivery, etc. 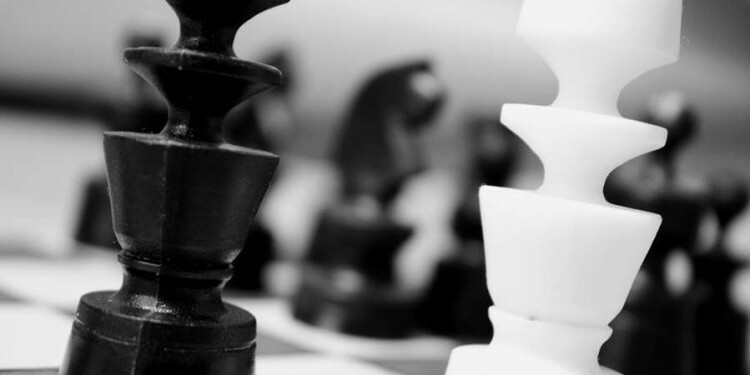 When an organisation optimises its marketing and sales departments and if it does not optimises it’s order execution engine, it becomes a big bottleneck for the growth. Customer feels that as long as he was a prospect the company was very actively engaging but the moment an order is placed, the engagement level drops. For this reason most of the companies their CRM definition beyond the above three and include some part of Order Execution like Order Management and Product / Service Delivery. We can definitely say CRM is a software application platform that acts as a collaboration engine for customer facing divisions / departments to interact with each other as well as with the customer. The platform facilitates standard interfaces that capture data/information about customers, contacts, activities as well as workflow automation features that can automate some of the tasks. CRM is constantly changing its definition and expanding slowly. If the company that is implementing CRM comes under small and medium business, it covers everything or as much as possible to run their business. Since the current CRM applications have expandability as a feature, they can be extended to include most of the automation of a small and medium business. 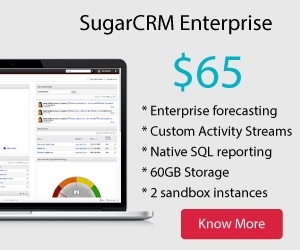 SugarCRM is one of the leading CRM where we can see most of the features mentioned in the above blog.